We dedicate ourselves to providing Mitsubishi drivers with the correct parts and accessories for their 1993 Mitsubishi Montero at the lowest prices online. 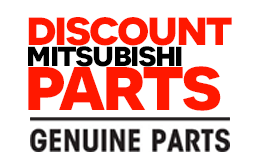 While browsing through our Mitsubishi parts catalog you will be pleasantly surprised by the incredible discounts we are offering on our entire inventory. Our friendly and knowledgeable Mitsubishi parts experts are ready to assist you with any issues you may have so feel free to contact us during regular business hours.